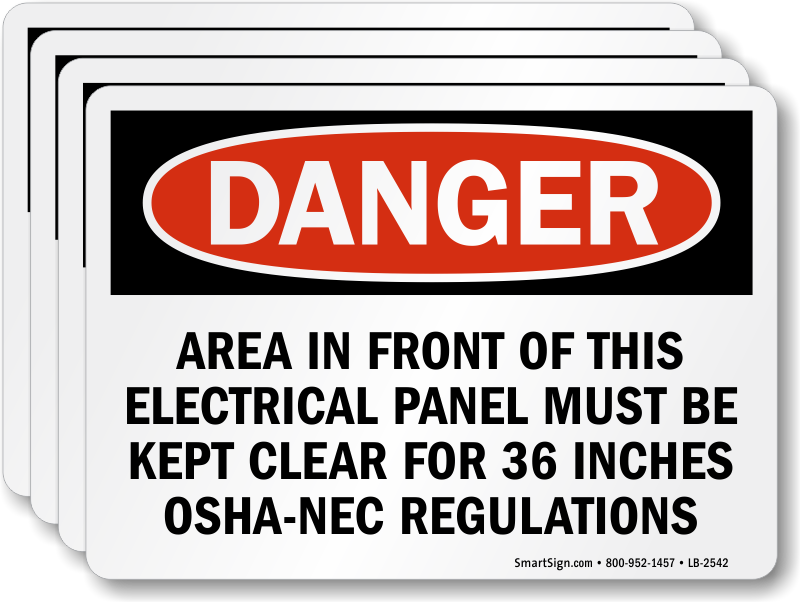 Clearly communicate that the area in front of the electrical panel must be kept clear for 36 inches as per OSHA-NEC regulations. 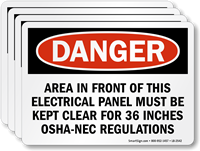 Apply this OSHA Danger label to ensure compliance with your facility's rule and prevent fatalities. Professionally designed, durable labels remain fade proof and intact for years.